ISI & Non ISI Electrical Conduit. Safeflex non metallic conduits, corrugated non metallic making conventional steel flexible and plain rigid pvc conduit obsolete. These conduits offer a blend of characteristics to make them the first choice of electrical installation these conduits offer protection against damage to wires and cables. Easy to handle, no rusting, save time in labour, easy installation. This light weight, smooth, durable and non inflated reinforced steel wire is widely used in water supply and draining for equipment facilities. We offer them in various sizes and colors as per the client requirements. These have anti cold proof and are very smooth. 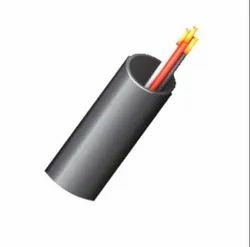 PFC Corofil Intumescent Conduit is designed to provide a Fire stop cable management system for passing electrical and telecommunications cables through fire rated walls and floors. Tested in accordance with BS EN:1366-3, PFC Microfilm Intumescent Conduit will provide up to 4 hours fire protection. We can support you with best quality and competitative price. 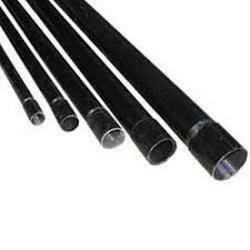 We are engaged in manufacturing Long Lay Conduits for Mechanical Control Cables. The cables we offer under this range can be produced as per the specific requirements of the clients. Designed to perfection, our braided outer cables are marvels of this field of work and considered to be best-in-class in every respect. Lapp offers the extensive line of OLFLEX®, UNITRONIC®, and ETHERLINE®, cables which include flexible control, continuous flex, torsional, servo, high temperature, and field bus cables, all designed to withstand the rigors of the most demanding factory automation applications.